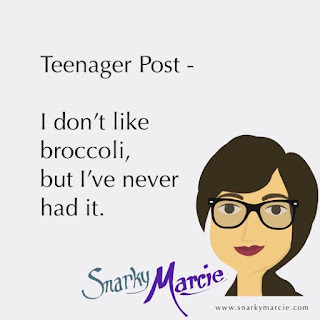 I hate green food, at least I think I do. My first experience, at least as I recall, of eating something I didn't like even though I had never had it was kiwi. My sister ensured me that I would like it, but I wasn't falling for her trap. It may be called fruit, but it's hairy brown exterior and green innards is a recipe for disaster. My sister made me close my eyes and promise to eat what I was served. There's a trust exercise for you. I ate it, and guess what. It was delicious. I requested my mom buy more and have been a kiwi-fanatic ever since. Why is it we are so adversed to change and risk? Sure, you may get burned, but that could happen in the safety of your home. Lightning strikes all the time, wouldn't you rather it happen in the face of a new experience? Form your judgments based on your experiences, not on the experience of others. Note that it doesn't state not to judge. Judging is in our nature and needed for survival and success. But, you can't trust a judgment that isn't your own. Feel free to take recommendations, but have the fearlessness to experience things yourself. Let's start with defining gossiping. In my self-proclaimed professional opinion, gossiping is simply complaining to a person that cannot fix the problem. Think about it. You're frustrated with Miss Can't-Get-To-Work-On-Time. There are logically two people you could share this complaint with that actually can fix the problem: your manager or the misses herself. If you're waiting for any unsuspecting co-worker to wander into your office so you can give the lowdown on the perceived slacker, please save the drama. Gossip is drama. If you think differently, you're wrong. Are you starring in Big Brother Season 92? If not, you're probably out of line. We may call it the game of life, but just grow up and quit playing the game of high school. I don't gossip. I'm perfection, but all my friends gossip and drag me into it. Either get new friends or remove yourself from each conversation that leads to gossip, or both. Remember, you want to surround yourself with those that bring out the best in you. 4. Try only clean venting to one person you trust. Okay, you are self-aware enough to know that cutting gossip out cold turkey will drive you off the edge of insanity. Let's take it in steps and try the patch instead. Pick one person, someone you trust will keep your confidence and not judge you too harshly. It needs to be a strong relationship and you need to warn them. Clean venting is actively choosing to vent to one person, and one person only. After that, fix it or move on. 3. Try honesty and tactfulness. Remember, tactfulness isn't only in the words you choose but the tone. If you find yourself scowling and grumbling out your honest comments, just shut up and next time think first before opening your mouth. People read into everything, but they can't be blamed for taking you negatively if you feed into the perception with your bad attitude. 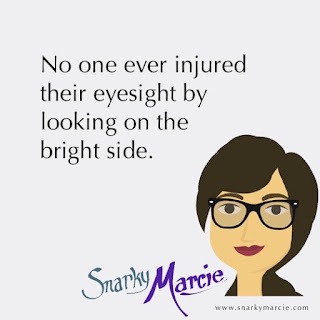 Trust me, we all have frustrations but no one ever hurt their eyes by looking on the bright side. 2. Try being the one thing you think doesn't define you (in a positive way). Once, not too long ago, I was defined as being strictly black and white. I was viewed as lacking creativity. At work, I manage projects complete with timelines, deadlines, checklists, and the like. It can be viewed as process-oriented, and that's a fair assessment. Being defined as anything bothers me. Don't tell me what I'm capable of, you don't know me. I don't even know me. There are millions of things I have yet to try, so you can't fairly define me as being one way or the other. Since that comment of being black and white, I've taken up graphic art, painting, home improvement, writing short stories, and hey...I started a blog. This is one of those things you should not take too literally. If someone defines you as not being a murderer, take the compliment. If someone says you're actually a good writer, smile and thank them. If someone says your idea might actually work, be proud. No matter what age you find yourself at today, you can still change and improve. We are not perfect, but we can always be more fun, more interesting. This is awkward, I can't help but notice you haven't shared my blog yet. Oh, you're waiting for me to be consistently funnier and funnier until there is nothing but amazement when you read? So, you're telling me there is a chance!